Florida became a State March 3, 1845. In 1845, the Florida Legislature created the Eastern (Judicial) Circuit, comprising “All that part of the State of Florida lying to the east of the Suwannee River and north of the Southern Circuit.” The Eastern Circuit included Alachua, Columbia, Duval, Levy, Marion, Nassau, Orange and St. Johns counties. At this time, Marion & Orange County had parts of today’s Lake County. In 1872, an eastern portion of Sumter County was annexed to Orange County. In 1887, the eastern half was used for the creation of Lake County. Lake County is Florida’s 43rd county, established on May 27, 1887, from segments of Sumter County and Orange County. Lake County’s name is from the abundance of 1,400 lakes found in this area. 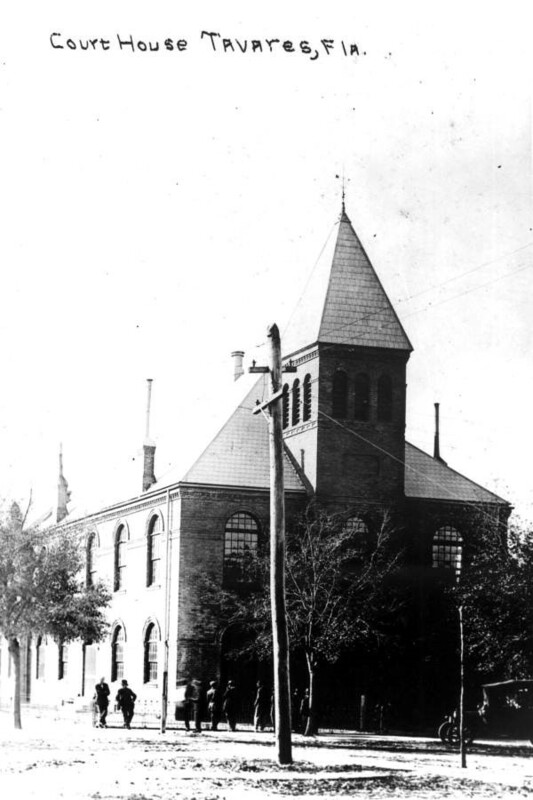 The Town of Bloomfield (in Yalaha located near Bloomsfield Avenue and County road 48) was declared the temporary county seat in Lake County and the former residence of J. W. Hanner Jr. used as temporary Court House in September 6th, 1887. Picture Source: Florida Historic Dramatic Contemporary, page 34. 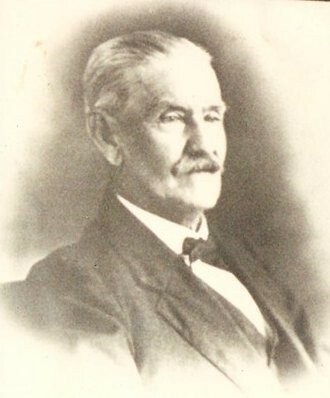 The First Judge of Probate in the State of Florida was Dalton Huger Yancey (below) located in Bloomfield, in Lake County, Florida. 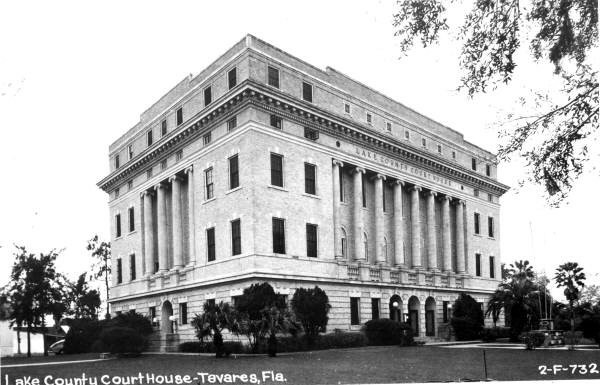 Later, the city of Tavares was named the county seat in Lake County. The city of Tavares was founded by newspaper and railroad man Alexander St. Clair-Abrams in 1880 and named for a Portuguese ancestor. Image Number RC03933 Year January 28, 1918. This second courthouse was built in 1924.